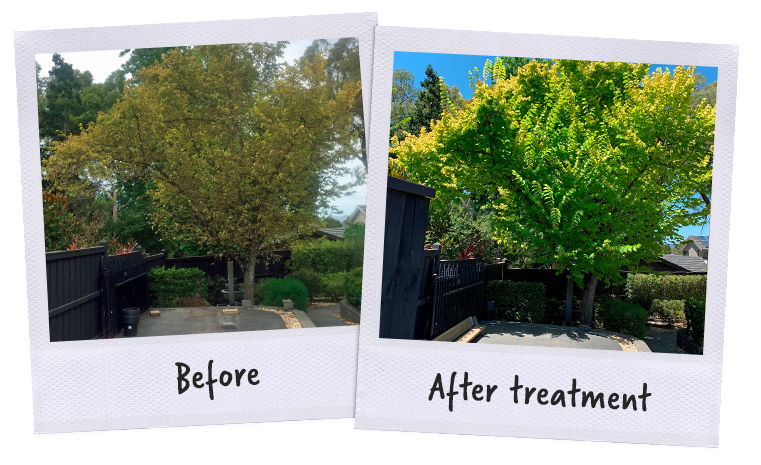 Before and after Mulberry Leaf Spot. 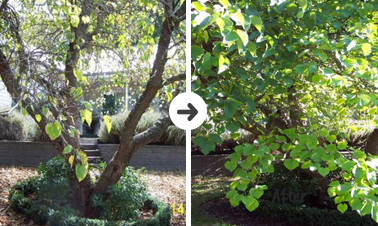 Elmsavers also treats a wide range of tree species and is not restricted to elms. We use a range of comprehensive, cost effective and environmentally considerate solutions. 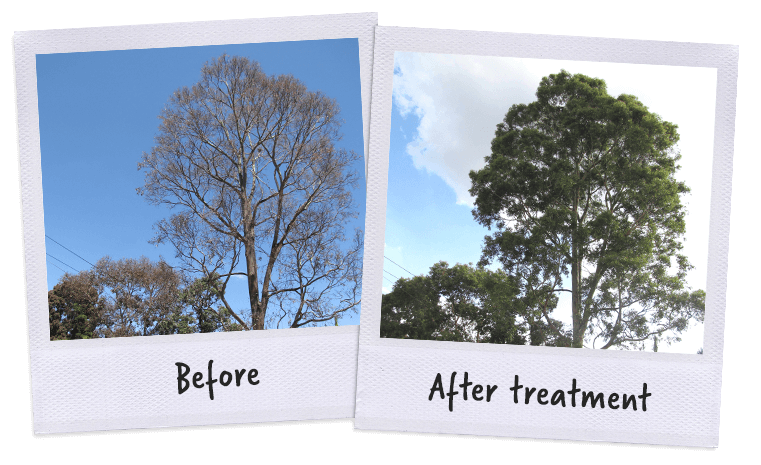 Elmsavers treats thousands of trees annually for Councils, Government authorities and private clients throughout South Eastern Australia. 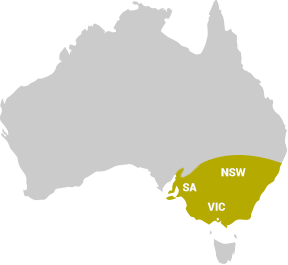 We serve clients in Adelaide, Melbourne, Canberra, Southern Highlands, Sydney, Blue Mountains and all other regional centres and areas in between. We are fully licensed in Victoria, South Australia and compliant in New South Wales and ACT by the Department of Primary Industries. By specialising in the most effective treatments available, Elmsavers treats the problem without harming beneficial species. 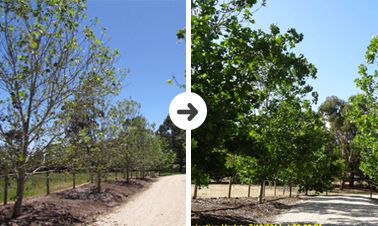 With 35 years of experiences in Plant Health, we enjoy saving trees and we know how to save money for our clients. 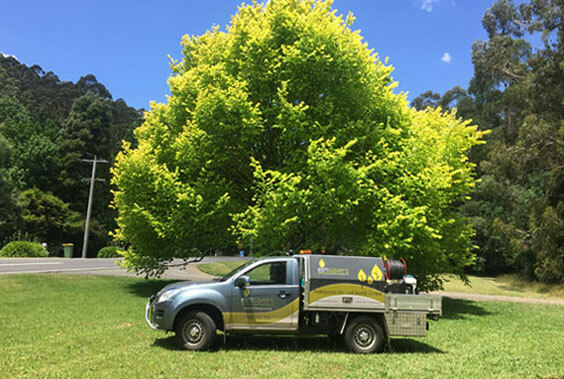 As Specialists we are also engaged by arborists and landscapers who want to deliver a higher quality level of service, as professionals they prefer to concentrate on their specific expertise to attain a better outcome. 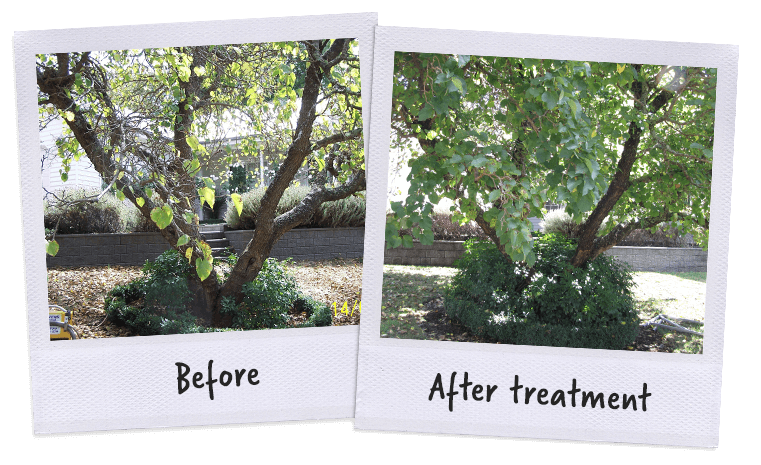 Our elm leaf beetle treatments also incorporate fruit tree borer, elm leaf spot and phomopsis as part of a Total Tree Protection Package. Contact us today to see how we can help you with an effective solution. 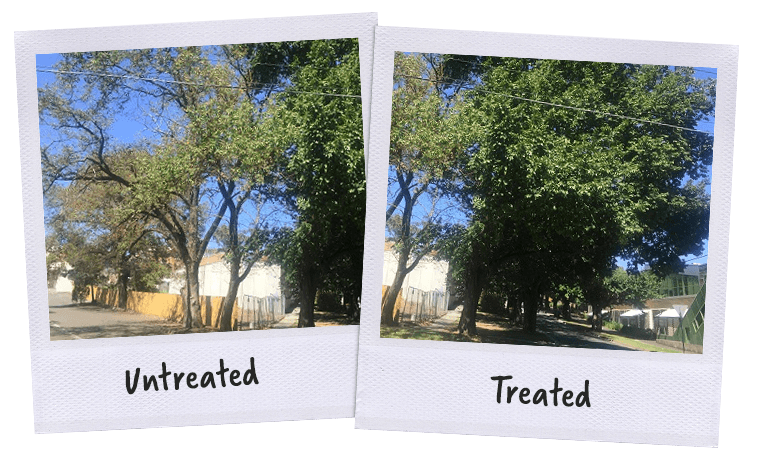 Anthracnose is a fungal disease that is affecting Platanus species worldwide. It causes foliar and twig damage in early and mid season. 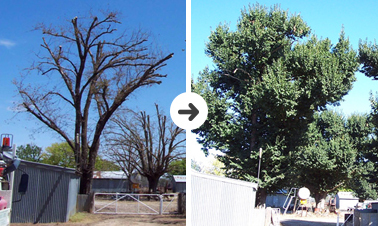 The elm leaf beetle can defoliate an elm tree in a week if left untreated, and poses the greatest threat to the health and well-being of the elm tree population in Australia. Backed by proof of effect for a wide range of tree species, using a comprehensive, cost effective and environmentally considerate solutions. 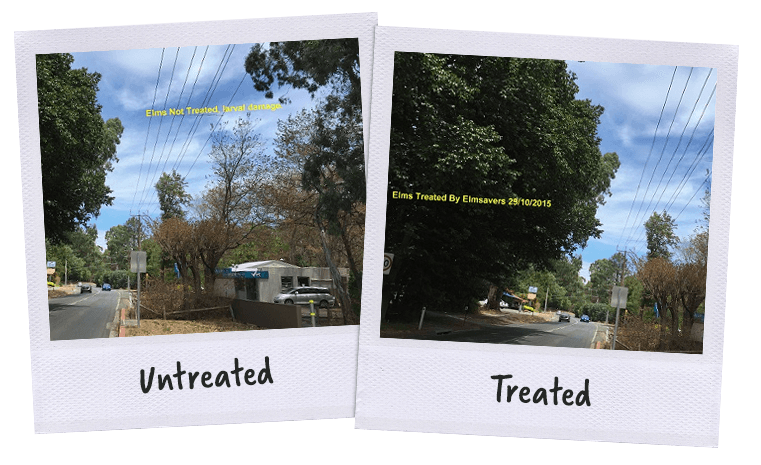 Elmsavers provides you with a multi pest & disease treatment for all sorts of trees and palms not just Elm trees. No need to be concerned about harmful chemicals, we treat the cause not just the symptoms. We can provide a range of treatments; fit the right solution to your situation. Specialised techniques and technology means you have the peace of mind of the best possible long-term treatment. Environmental Tree Technologies and its multinational partners are involved with the development of new product formulation lines both locally and internationally. 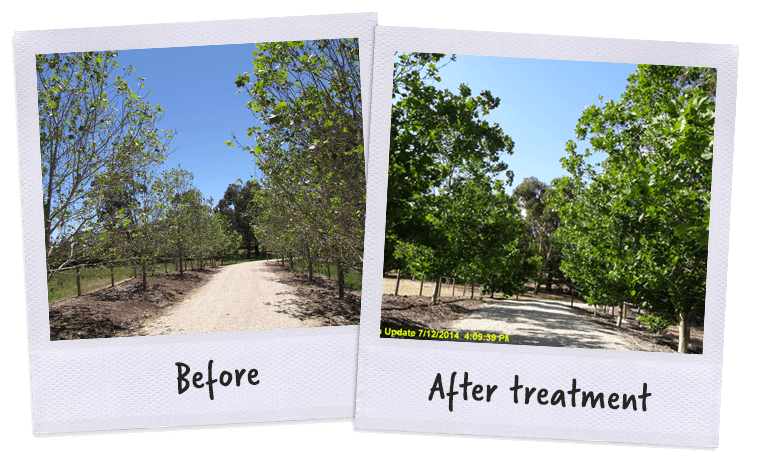 Trial programs are in progress overseas on a number of insect and pathogen disorders in both agricultural and amenity tree situations. With that in mind we can customise a treatment program specifically to suit your needs.